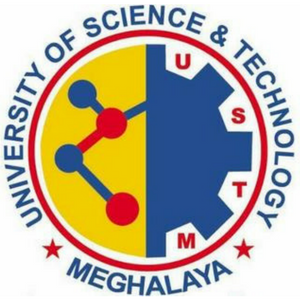 The University of Science & Technology, Meghalaya (USTM); first of its kind in entire NE region of India was set up with the enactment of the University of Science & Technology, Meghalaya Act, 2008 (Act No 6 of 2008) by the Meghalaya Legislative Assembly on 2nd Dec, 2008. USTM is the first State Private University on Science & Technology in Meghalaya and is sponsored by ERD Foundation, thus enabling ERDF transform its vision into reality. With almost two years of focused study on the educational needs of the region by expert Academicians, Scientists and a group of former Vice Chancellors of the region, USTM now is on the verge of commencing its academic process with initiation of the different Schools and Departments under which various Post Graduation Programs as well as M.Phil and Ph.D studies will be accommodated. Thrust areas as identified by the core group of academicians, are largely based on the need for conducting need based location specific Education, Research & Development programs in the field of Applied Science & Technology specifically focusing on the rich biodiversity of the region, the needs of the Industry as well as the need for conducting researches towards preserving, mapping, documenting and effective harnessing & utilization of such resources towards sustainable growth of the region.